This is Mundana documentation (more on this product here). You can skip the documentation with our 24h theme installation service. Whether it’s your own website or a client's, we can take the burden of installation off your shoulders. Theme installation includes full setup of the theme, plugins, settings, and demo content. Your website will look just like the demo within a few hours! 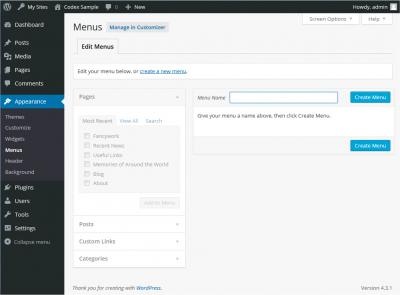 Mundana is a Wordpress theme, so you must install Wordpress first. There are several ways to install WordPress but the easiest way would be to use one of the one-click autoinstallers available from you hosting company. Click here to learn how to install WordPress with the most popular autoinstallers, WordPress Toolkit, Cloudron, Fantastico, Installatron, and Softaculous. Great! Now the final step, make the menu visible in site. “Mundana” theme has 2 menu locations: main menu & extra menu. Do not set more than 1 sticky post at a time. “Mundana” displays popular posts in home, categories, tags by the number of claps. Make sure you have our plugin WP Applause Button installed and active. “Mundana” displays a list of categories with thumbnails. In order to assign thumbnails to categories, make sure you have Categories Images plugin installed. Then navigate to Dashboard/Posts/Categories, select each category and assign the appropriate image. Sometimes your website title may be too long so you’ll need to control the font size of the sidebar’s Popular title. To do that, please, navigate to Appearance/Customize/Mundana/Typography and scroll to Sidebar Title. Here you can change the font to an appropriate size. The reason behind this is the option to serve as an introduction to the subject or topic of your article. Unless you add your topic in post excerpt, the first words of the article are automatically triggered. If you don’t need this option, you can easily disable it. Please, navigate to WordPress Customizer via Appearance/Customize/Mundana/Articles, and check Disable Excerpt. The shortcode for the newsletter form can be obtained through your newsletter plugin. The example shown in screenshot is using Mailchimp for WordPress plugin but you can, of course, use your own newsletter client. Contact us if you need help styling it. Navigate to Appearance/Widgets/. You will notice “Mundana” has 5 widgetized areas. To enable the login/register modals, you must have Ajax Login & Register plugin installed and active. In example, our demo shows a “My Account” link to logged in users only. On the contrary, to hide a menu link from logged in users, we use lrm-hide-if-logged-in. Ajax Login & Register plugin is compatible with WP Facebook Login. Install, activate and navigate to plugin’s settings. You will be asked to enter Facebook app ID & Secret key. Click “My Apps” from top right menu. Enter the details in WP Facebook Login settings and wait for a few seconds before your login/register modal will show the Facebook alternative login. “Mundana” is made compatible with the free version of WP User Frontend to serve your possibility of allowing guests/users to publish posts on your website. Make sure you have the free version installed and active. Follow the set up process, let the plugin create the necessary pages. Navigate to Appearance/Frontend/Forms. Create a form and copy the generated shortcode. Paste this shortcode in a newly created page named Publish a story (or whatever name you wish). If you want to add a note for the non logged in users, you can wrap the paragraph between [visitor_access]...[/visitor_access]. Our demo has such a note where we recommend te guests to sign in or register. That’s it! You now have a full guest/users publishing system. You will not be able to see the follow buttons in your own posts/author profile. If you want to test the plugin, create a test user and log in as that specific test user. Let your visitors/logged in users to bookmark your posts and read later them later. 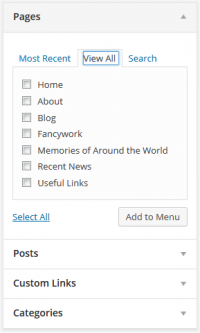 Mundana uses Favorites plugin to manage bookmarks. Install, activate and visit Settings/Favorites. If you want to offer users the option to delete their account, we’ve built and addon for Mundana theme: Wow Delete Me plugin. Install, activate and navigate to its settings. That’s the ID to be entered in Reassign post to ID field. "Mundana" theme is translatable. All you have to do is to install a specific plugin so you can easily translate the theme in your own language. We recommend you Loco Translate plugin.